Can You Sue a Debt Collector for Harassment? Debt Collection Laws: Can I Sue a Debt Collector or Collection Agency? Debt collectors have a bad name, and sometimes it's deserved. No one wants to be dunned for payment, but as with all things in life, it's a lot easier to take when it's done civilly and politely. Not all debt collectors and collection agencies follow this principle, however, and laws are in place to control bad behavior. The Fair Debt Collection Practices Act, more commonly known as the FDCPA, has been around since 1978. It sets forth certain rules that debt collectors and collection agencies must follow when they're attempting to secure payment. The FDCPA applies only to personal debts, not debts you may have incurred running a business. It determines when debt collectors can call you, which is typically no earlier than 8 a.m. and no later than 9 p.m. based on the consumer's time zone. They can't threaten you or call you repeatedly in an effort to harass you, and they can't use vulgar or profane language. They can't make false statements, such as that they can have you arrested if you don't pay up, or discuss your debt with anyone other than your attorney, although they can contact family members and friends simply to request contact information for you. Read up on the FDCPA if you believe a debt collector has stepped outside the rules. If so, the law gives you recourse, including filing a lawsuit against him. Federal law permits individuals and groups of individuals to sue collection agencies, but you must sue within one year of any alleged violation of your rights. If you do win, you can recover any damages you suffered plus an additional amount of up to $1,000 called "statutory" damages. Your award may also include recovering the court costs and any attorney fees you had to pay to file the lawsuit. 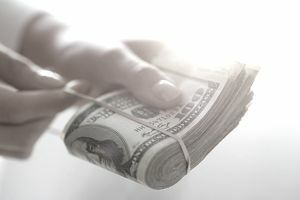 In class action suit filed by a group of people, the group may recover up to 1 percent of the collection agency’s worth or $500,000, whichever is less. It might be difficult to prove that your rights were violated, and the burden of proof will be on you. Keep detailed records of the dates and times the collector has called you. Write down his name and make note of the phone number if you have Caller ID. Keep notes on what was said. This information is absolutely critical to proving a case of harassment in court. Debt collectors are generally not too fearful of being sued because of the financial limits placed on what you can get in return. A collection agency might not even take the threat seriously, knowing that you're already in debt and confident that you can't afford an attorney to represent you in court. It's always a good idea to let a debt collector know that you are aware of all your rights, however, including the right to sue. If you've researched the law, you might point out his violations and perhaps open the door to more productive negotiations for settlement. Talk to an attorney if you are unable to resolve your problems with the debt collector and he continues to harass you, or if his activities have already caused you harm. He may even be willing to represent you on a contingency fee basis, means that he only gets paid if you win – you would give him a percentage of your recovered damages. Otherwise, consider filing your case in small claims court instead of state court, where the rules are typically a little more relaxed so you may not need an attorney. There are limits to how much money you can ask for in small claims court, however. You may have suffered $5,000 in damages but if your state caps the amount you can sue for at $4,000, you're limited to asking for this amount. You can also report the debt collector to the Federal Trade Commission. The FTC will work with you and the debt collector to try to resolve your problem. In addition, you can report the debt collector to your state's attorney general.